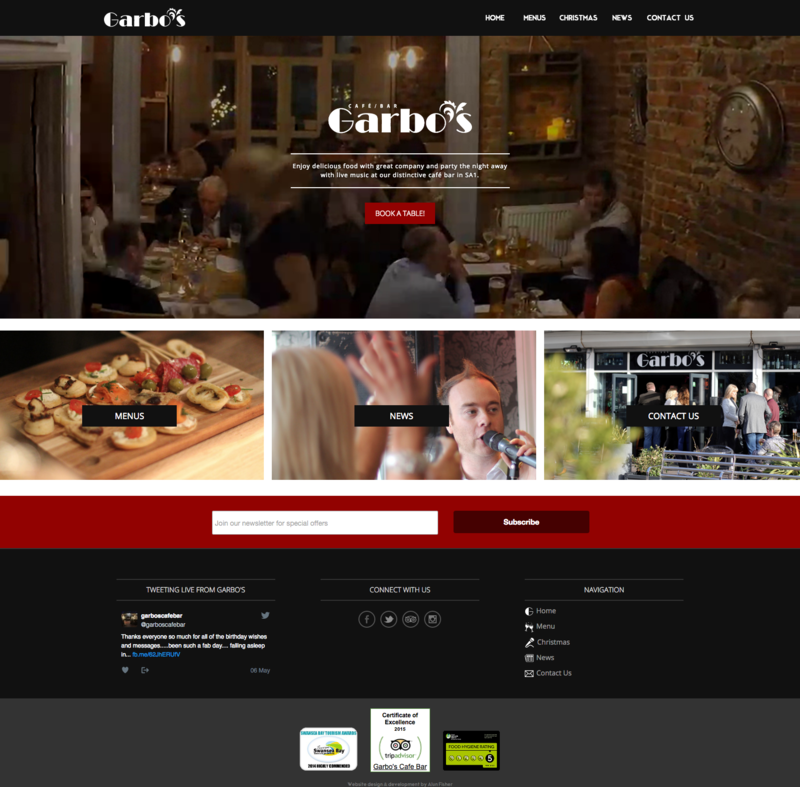 Garbo’s Cafe Bar needed to make some tweaks to their existing website to improve the design and functionality as well as updating it with some fresh content. Manoeuvre improved the existing website design to incorporate a background video with a tagline and call to action, as well as providing some updated photography to improve the look and feel of the site. 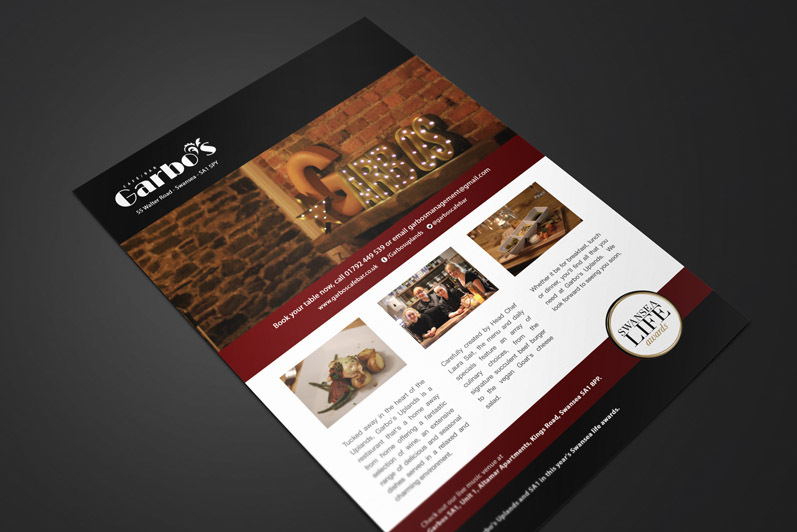 We also created a template for menus and designed print adverts which were used in local media to help promote their new venue.